Are NutriGrain Bars Good For You? These bars by Kellogg’s can be found in the breakfast aisle next to the cereal. The idea of a bar that could solve all of your hunger problems is a good one. I have been looking at a bunch of bars lately in the hopes that I could find a few that I like. I checked out LUNA Bars in Are LUNA BARs good for you? and thinkThin High Protein Bars Review: Are They a Healthy Choice?. It is remarkably difficult to find a great bar. I love the concept of a breakfast bar for the “grab and go” crowd that never has time to sit down and eat. 1. Five grams of sugar per bar. 2. About 150 calories (the right size for a snack). 3. Have a delicious flavor and texture. Whenever a box says “NOW MORE REAL FRUIT” – that scares me. The fruit here is “strawberry puree concentrate” and it is way down in the ingredient list (which means that there isn’t a lot of it). This is below 150 calories but with 11 grams of sugar – that is more than twice my limit. But the worst thing here is the taste. I don’t know why but these fail for me in so many ways. They are chewy and sickly sweet. They don’t remind me of food at all. If you gave me a choice between this and a donut – I would choose the donut every day of the week. I wouldn’t even care about health. These taste terrible. You know what? These soft baked NutriGrain bars taste like the ingredient list - a mixture of weird extracts of food and NOT LIKE ACTUAL FOOD! 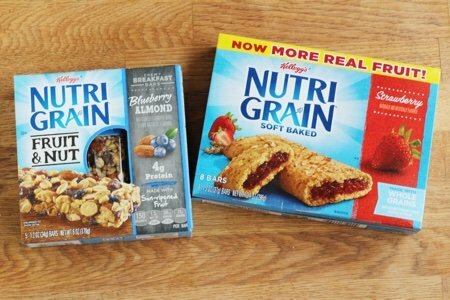 Kellogg’s puts out another Nutrigrain bar that I thought might be great. It is called “Fruit & Nut”. 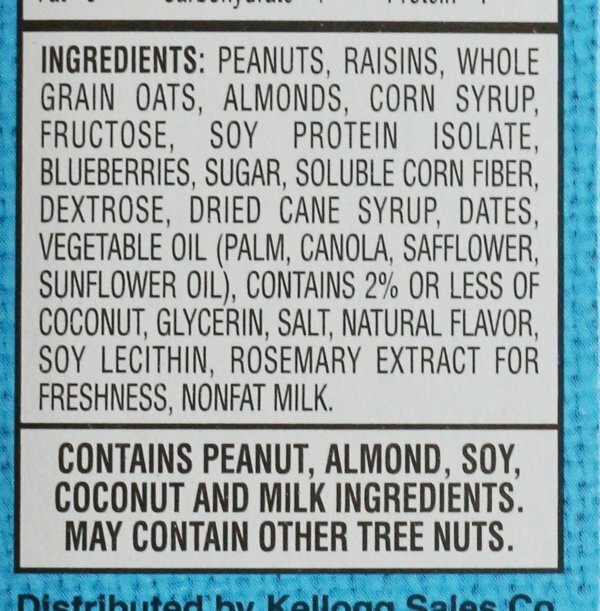 As you can see, peanuts is the first ingredient which is a great choice for breakfast. There is actual fruit here with raisins, blueberries, and dates. It has 150 calories but there are 11 grams of sugar. I was willing to let that slide because raisins and dates are high in natural sugar. My concern is added sugar which I can’t figure out from the packaging. At any rate, these were the worst bars I have ever tasted in my life. I am not exaggerating. There was a metallic aftertaste that destroyed any hope that I could take another bite. The concept is great – like a KIND bar – nuts and dried fruit packed together – but the execution makes me wonder if they have any taste testers. I wouldn’t buy or eat these bars. Go for a LARABAR or a KIND bar if you need a quick breakfast. I know they cost more but they are so much better. LUNA BAR is marketed exclusively to women as a healthy choice. Can a flavor like chocolate cupcake be healthy? WOW! One look at the listed ingredients and it tells you everything you need to know! Pure junk in my opinion! Your grab and go bars in the muffin tin recipe is wonderful and also your version of fruit and nuts bars.......Imagine making something that is all real food and NOT chemistry! Thanks for your great blog. Love the recipes and the knowledge you share with us! Lara bars are Terrible tasting. I tried several varieties and in My opinion None of them tasted good. KIND bars on the other hand are delicious. 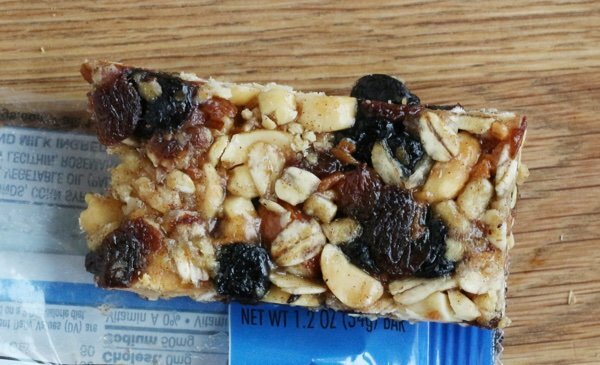 If you're going to spend your calories or Smart Points on one of these bars, go with KIND bars. It's like most processed food: promise much, delivers little! What's there not to like???? Those fruit and nut ones: raisins, then 2 kinds of sugar, blueberries, 3 more kinds of sugar, then dates (which are 60% sugar in themselves). 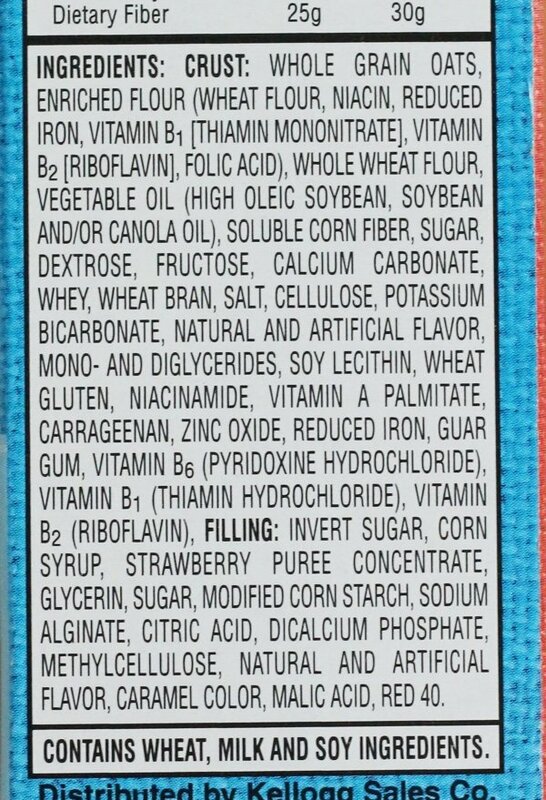 Whenever sugar's broken into that many different versions you know they're just trying to push it further down the ingredients list. The old school ones aren't any better, 3 kinds of sugar in the crust and 3 more in the filling, plus carrageenan (hi inflammation), artificial flavor, and red 40. Nope nope nope. 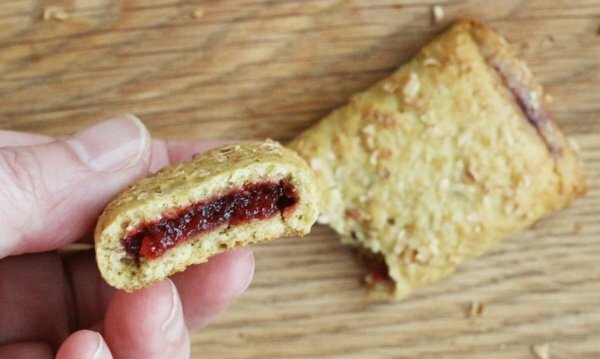 Have you ever tried the Nature's Bakery bars? I picked up a box from Sam's Club recently. I think they taste better than Nutri Grain, but I am curious if they are actually any better for you. I took a picture for you to take a look, but it won't let me send it through the comments! What the heck is invert sugar? Unfortunately, Snack Girl's taster may be on the fritz, not the people at Kellogg's. NutriGrain bars taste good. Cherry is a lot better than most, but all they had the last time I shopped was Strawberry, not even a spot on the shelf at two different stores for the Cherry so maybe they don't make that flavor anymore. Figures. And maybe there is too much sugar in them for Snack Girl, but that doesn't mean they taste bad. I do NOT like that there is Carrageenan in them but the rest is just fine! Save money, calories, points, and,yes, even time by mixing up a double batch of Weight Watchers Oatmeal Bars! Takes 19-15mins to mix.Baked in 20 (time for a quick shower) and is no sugars, flour, fats for 2 points per 1/12 of 9x13 pan. Package eacch & grab on the way out the door. Add pomegranate seeds, blueberries, any fruit for increased nutritional value & taste.